A hungry bass striking a lure. Media by soggybottomlodge.com. Editing by Klaiton Wolff. 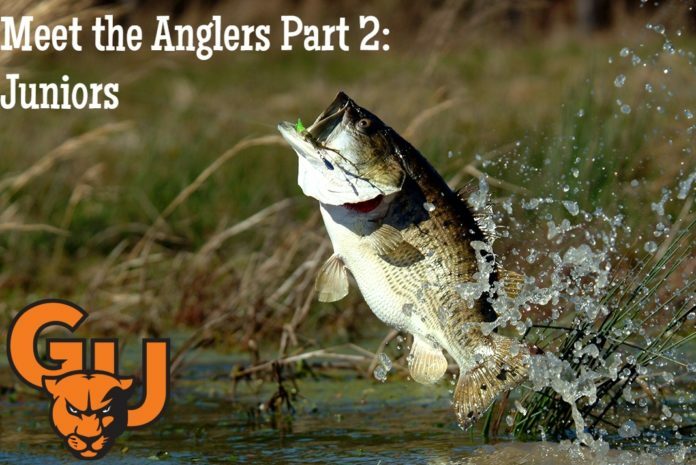 In part 1 of Meet the Anglers, we met the seniors and the graduate assistant. Fortunately, they are not the only people that make up the bass fishing team. Here are the Juniors for Greenville Bass Fishing Team! Chris Brooks holding a largemouth bass. Source: Chris Brooks. The first junior on the roster is Chris Brooks. Brooks is a Sport Management and Criminal Justice double major from Sparta, Illinois. His favorite piece of bait is a topwater frog lure. Brooks loves fishing because it is something he can do for a lifetime. You don’t ever have to stop because of age like other sports. Another reason is that fishing reminds him of when he went fishing with his grandparents as a young boy. His greatest memory of fishing occured his senior year of high school. He was fishing in his conference tournament and he made all-conference with his brother as his fishing partner. 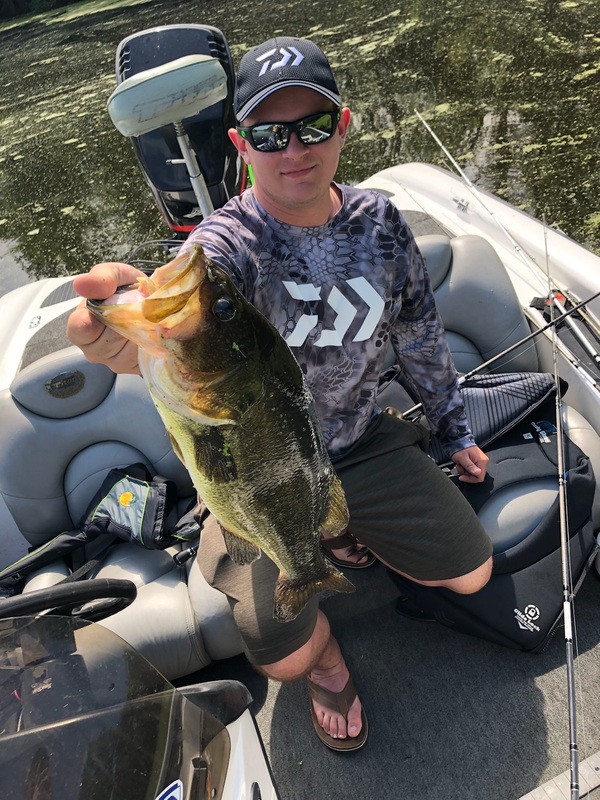 Ricky Huge with a “largie.” Source: Ricky Huge. The next junior on the roster is Ricky Huge. Huge is a Special Education major from Carlyle, Illinois. His favorite lure to throw is a Texas rigged green pumpkin Strike King Rage Craw. He would throw this bait in about two feet of water all the way out to 20 feet of water and he claims that it just flat out catches ’em. Huge loves fishing because conditions are never the same from day to day. The weather is always changing and fish are always moving. These variables make each day on the water a new experience. He is constantly learning and that is what keeps fishing fun. 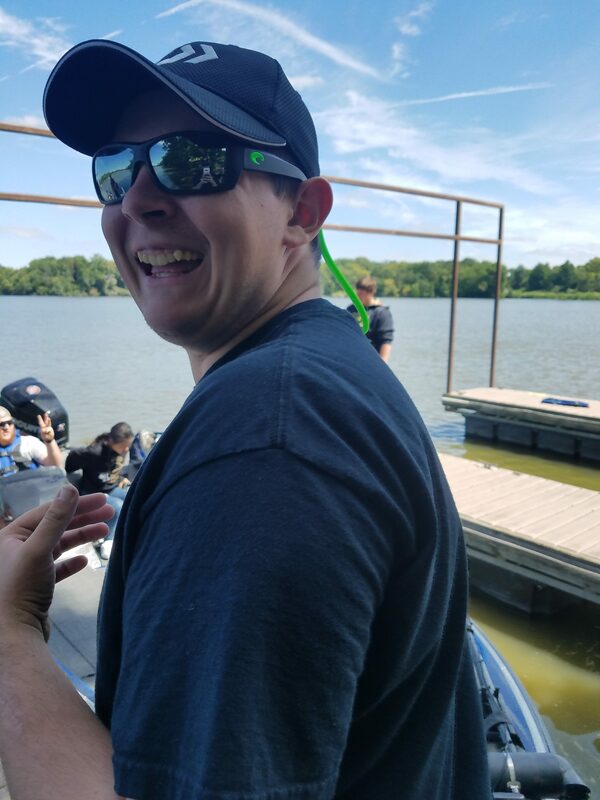 His greatest memory from fishing was during Spring of 2018 during the FLW Open on Kentucky Lake. The water rose multiple feet in just a few days and the fishing was tough. The tournament was two days long. Day one was a tough day and he blanked. On day two, he decided he was going to switch up how he liked to fish. He went out and caught just under 14 pounds in three fish and one of the fish was his largest smallmouth bass ever. The fish weighed 5.56 pounds. He went from 216th place to finishing in the top 50 in the tournament. It reminds him to never get discouraged because you never know when God’s going to answer your prayers, and a little luck going to shift your way. 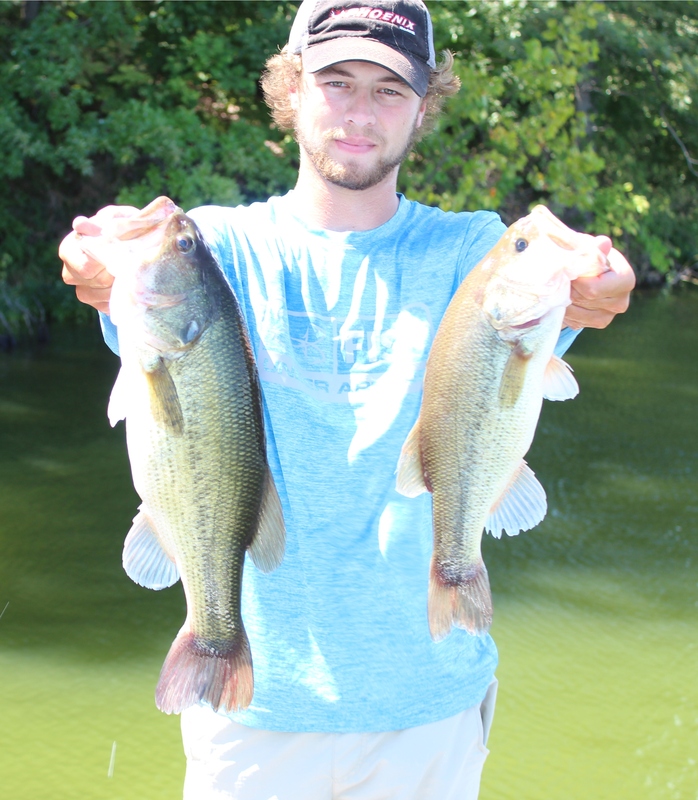 Cale Jausel holding two “hawgs.” Source: Cale Jausel. The third junior on the roster is Cale Jausel. Jausel is a History Education major from Pinckneyville, Illinois. His favorite type of bait is either a flipping or topwater bait. Jausel loves fishing for the reason that it is something that he has been doing since before he could talk. It also is very competitive and keeps him humble. 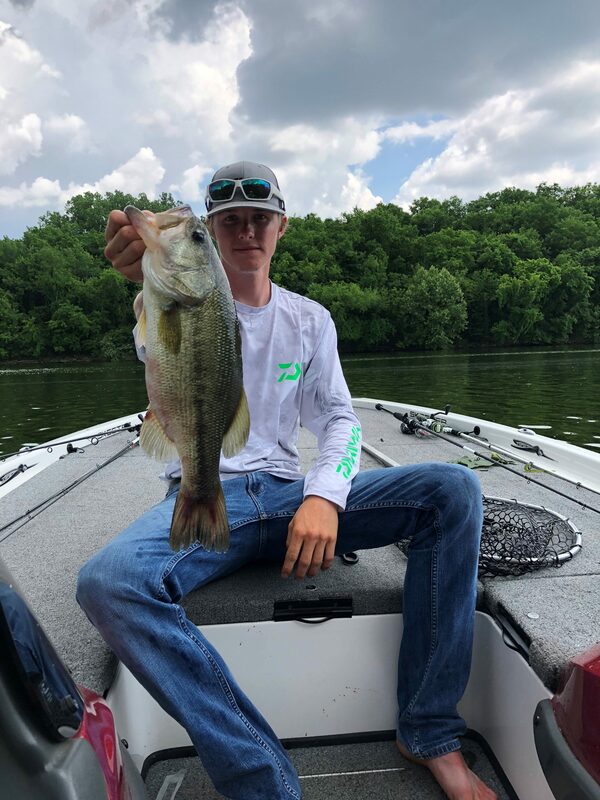 Jausel’s greatest memory from fishing is either being the state runner-up his sophomore year of high school or getting to fish in the ACA National Championship this past summer. Now we have met the graduate assistant, the seniors, and the juniors so make sure to keep an out for the closing article to this series: Meet the Anglers Part 3: Sophomores and Freshmen! Stay tuned! Chris Brooks having a blast at All College Hike! Source: Klaiton Wolff.